Woweeee! After a very cold and (beautifully!) 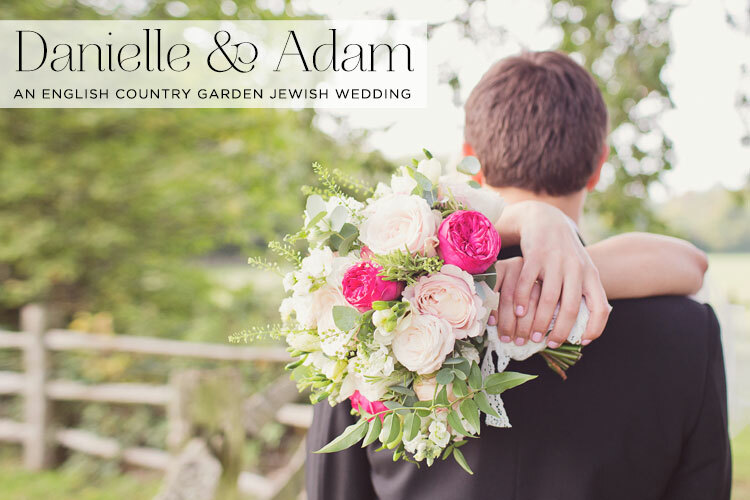 snowy weekend here in central London, we could definitely use a splash of color to transport us out of deepest, darkest winter and into a bright, whimsical dreamscape of a Jewish wedding! Who’s in? 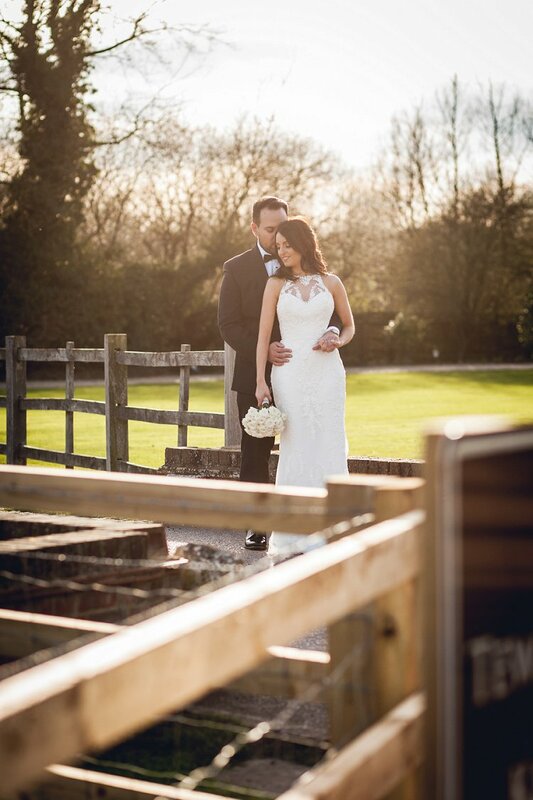 Claire and Dave tied the knot in a rustic, vintage-inspired celebration in the grounds of beautifully picturesque Micklefield Hall. 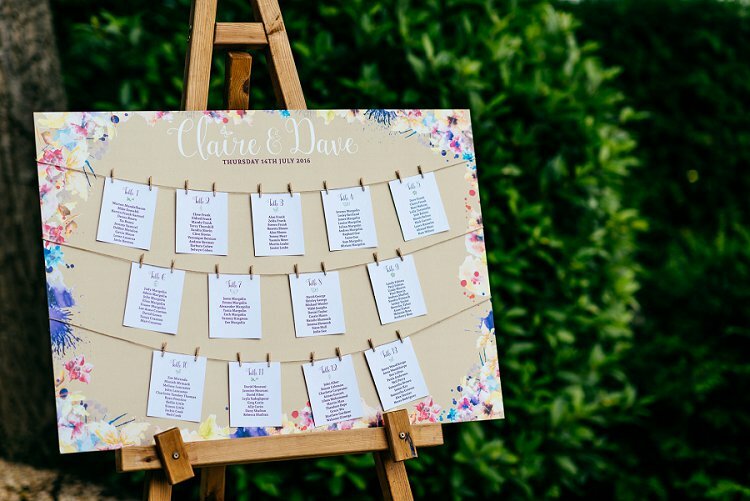 Graphic designer, Claire, turned the full force of her fantastic creative eye to her big day, with expert attention to detail. 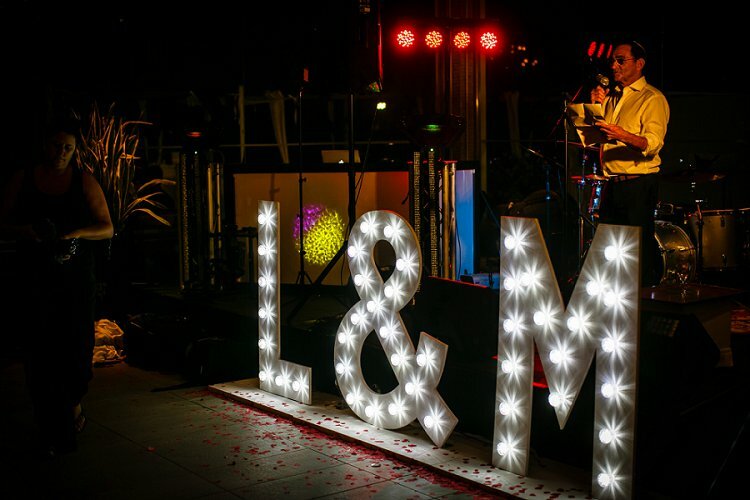 Every last decoration was bursting with color and perfectly matched the theme, from the magical paper lanterns by The Hanging Lantern Company to the quirky and adorable grass “LOVE” letters by Ever So Vintage Party Hire. 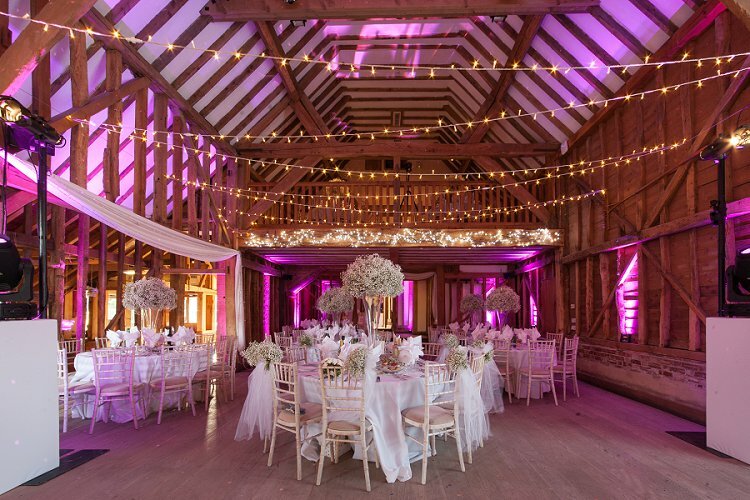 Butterflies were dotted everywhere, from the floral arrangements to the stationery suite and beyond. The entire effect is truly something to gaze longingly at – absolutely breathtaking. Of course a wedding with THIS much pretty in it had to have a supermodel of a chuppah. 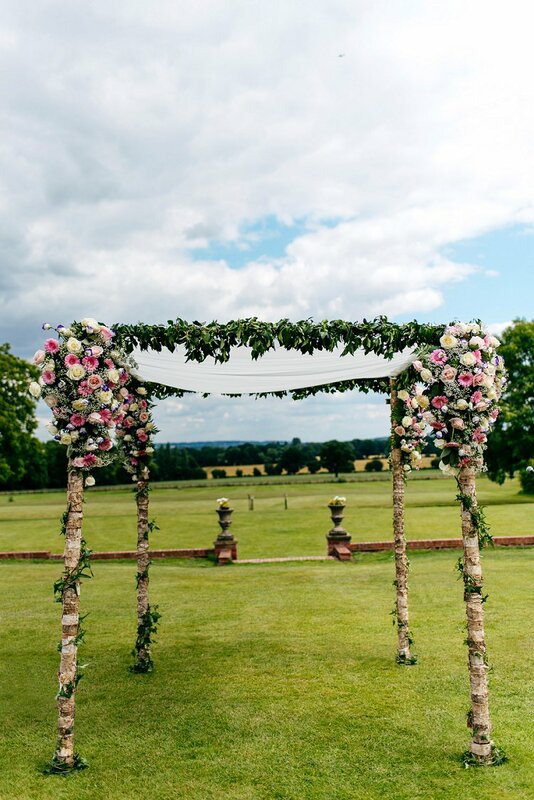 And what a beauty Claire and Dave’s outdoor chuppah was – a rustic wooden dream with bright and bold flowers adorning the sides. We couldn’t take our eyes off it, and we’re sure you won’t be able to either. Alexandra’s Florist did just the most amazing job. Claire looked like an A-lister in her glamorous Enzoani gown, surrounded by her best gals in picture-perfect floral, flowing dresses. The details, love and joy of the day were all captured by the expert eye of photographer Jordanna Marston, who really brought the camera-shy couple out of their shell to create a spread of sublime shots, while the romantic trailer below was created by none other than wonderful STG Recommended Vendor, the one and only Denee Motion. 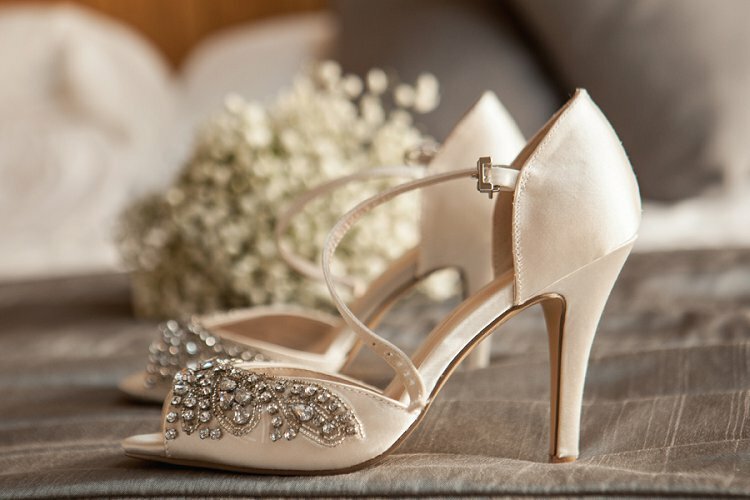 We’ll leave you in Claire’s capable hands for the full writeup – we hope you enjoy this visual feast of a wedding, and that it warms you all up too! Claire, the bride: We met on Tinder in 2013 and it just grew from there. Happy Friday, everybody! 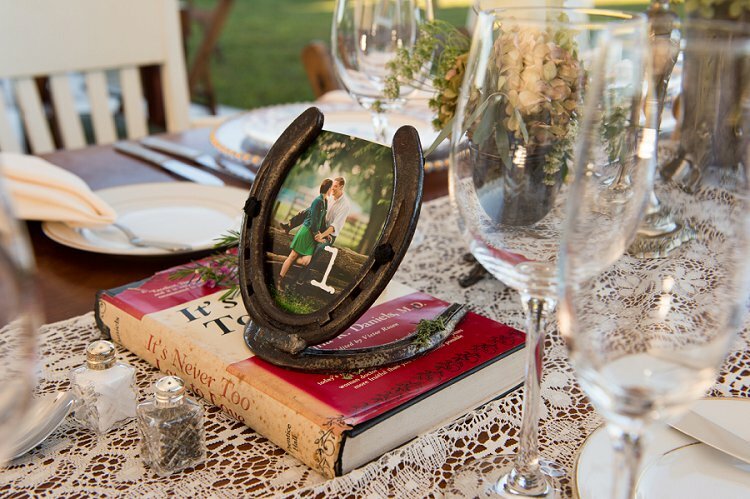 To celebrate, we’re treating you to the ultimate authentic rustic American wedding. 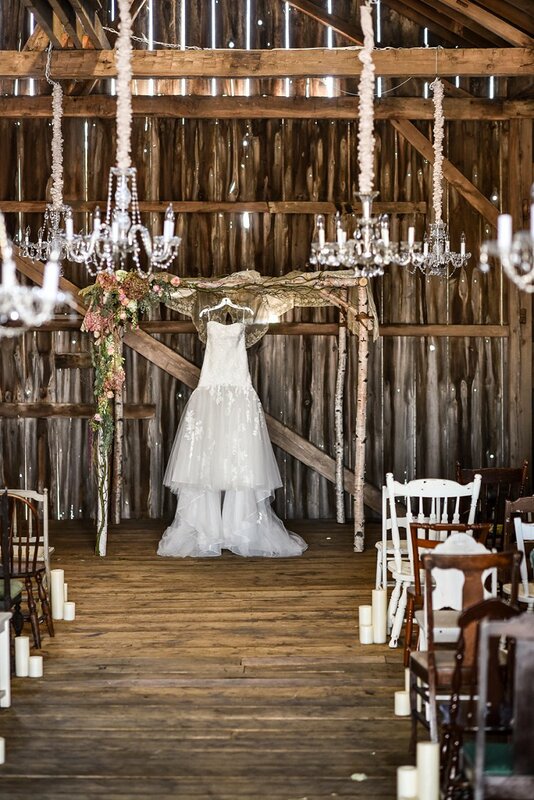 In typical ‘Smashing The Glass’ style, Sara and Justin didn’t want a cookie-cutter wedding and chose a blank canvas venue (a working horse farm) and filled it with stunning chandeliers, decadent dà©cor and so much love. 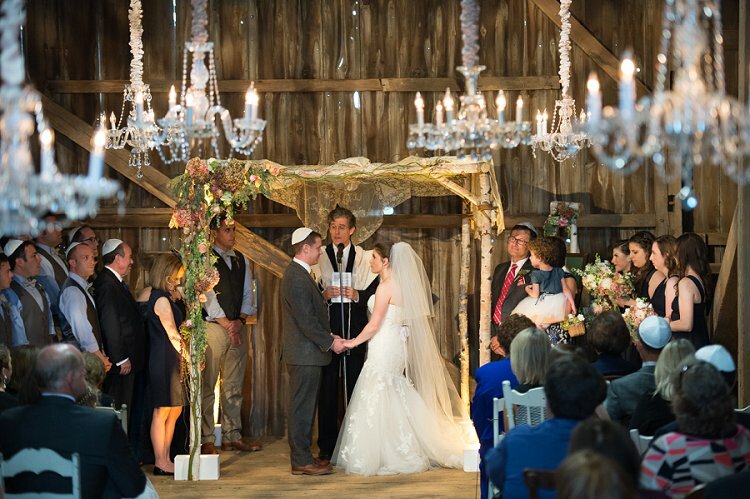 The juxtaposition of a colourful, yet vintage-looking chuppah against the rustic dark wood of the barn is truly a sight to behold. 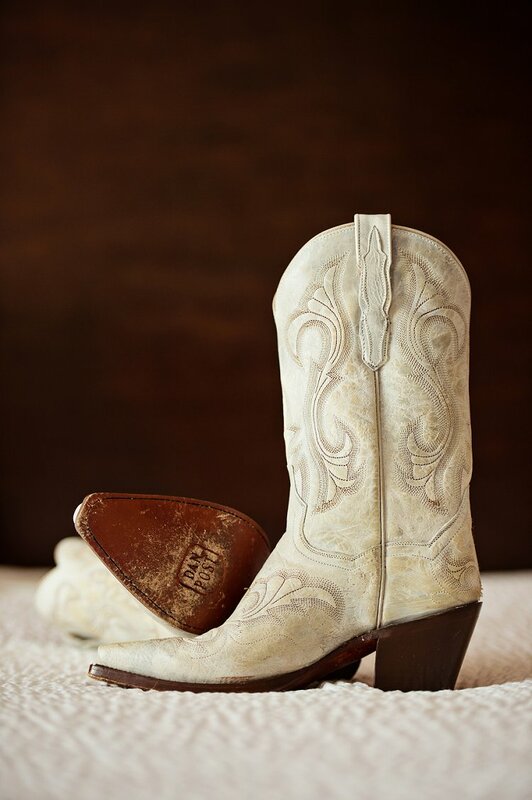 Their Jewish wedding was captured in all its glory by photographer Gary Nevitt, including the bride’s epic cowboy (girl) boots – we have serious boot envy over here – and the stunning floral and mossy details, put together by Tonia of Aribella Events. It also always strikes us how many Jewish weddings are filled with precious family heirlooms passed down through the generations. Sara and Justin’s wedding was no exception, with beautiful relics that even survived the Holocaust. This solemn tribute to our collective history can seem odd to some, but it says so much about the Jewish soul – the ability to commemorate our difficult past in a way that somehow makes the celebration feel all the more necessary in the present. 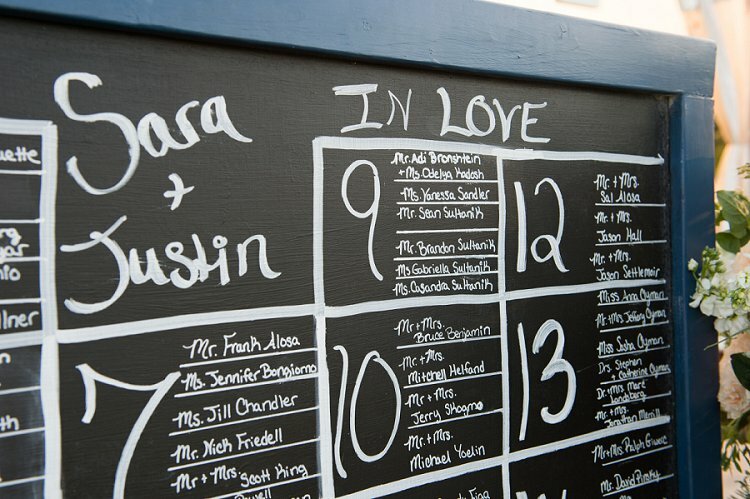 Over to Sara for the full story on her and Justin’s special day. Sara, the bride: Justin and I met through a mutual friend, Jill. We were the only two Jewish friends she had, so she figured we would be a good fit! I was in graduate school at Syracuse University for broadcast journalism and Justin was a sports reporter an hour away at a small station. Jill was my classmate and interned at Justin’s TV station on the weekends. Justin and I hit it off immediately and the rest is history! We were long distance for a while, and would meet halfway in Scranton, Pennsylvania on the weekends. We would stay at a local Hampton Inn and go see the Tommy Guns Band play music. Hampton Hotels corporate got wind of our story and featured us in a promotional video, in which we also got engaged! 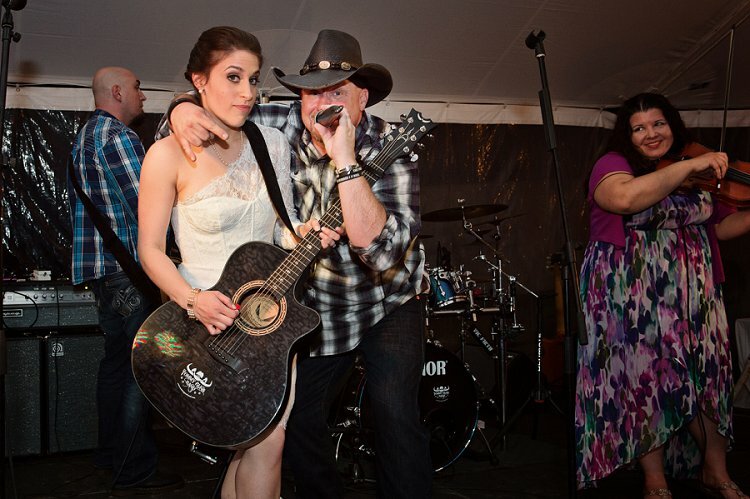 Tommy Guns Band wrote us our wedding song and played it at our engagement. We wanted a space that was truly unique. 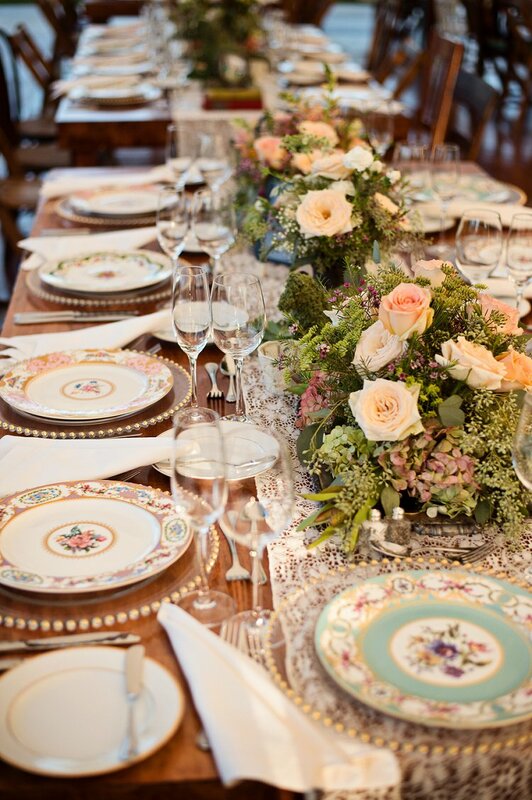 We wanted guests to feel as if they were attending a wedding at someone’s personal residence, not at a commercial banquet facility. 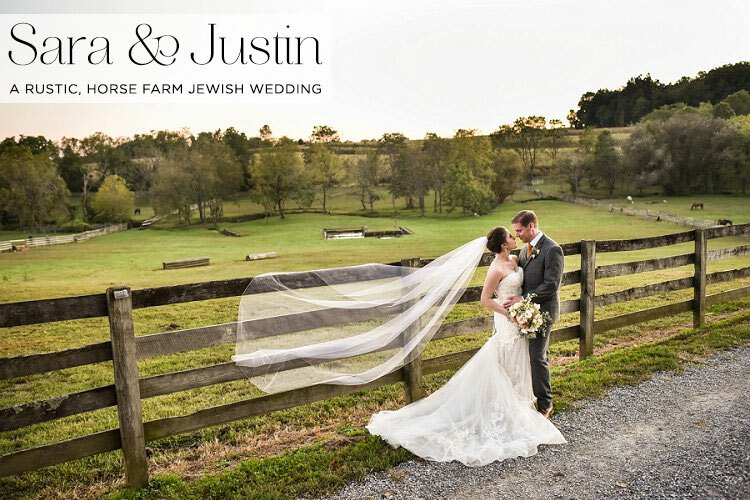 Our wedding planner, Tonia of Aribella Events, found this farm for us, and the owners generously allowed us to use it as our venue. Our absolute favourite thing about destination weddings is that, without fail, they provide epic, awe-inspiring scenery, and today’s beautiful destination celebration in Marbella, Spain, is certainly no exception. 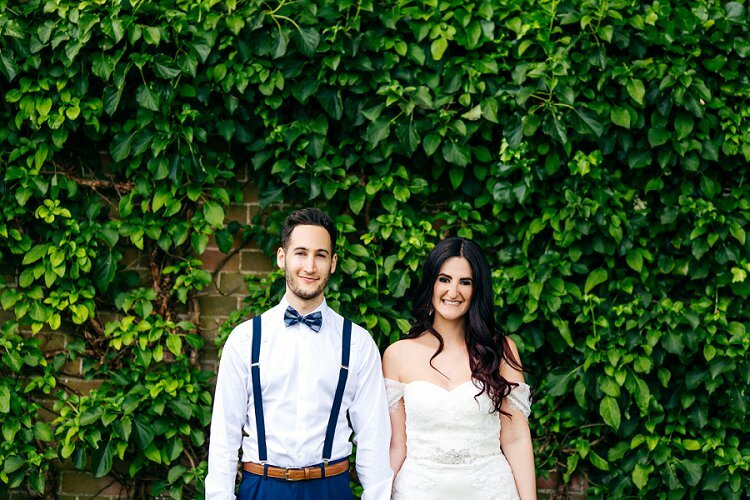 Lizzi and Mark met through a family connection and quickly fell in love. 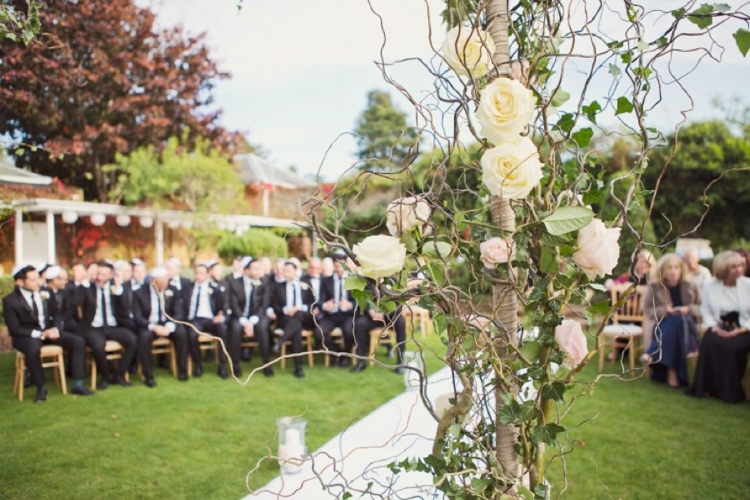 Set in Spain as the perfect backdrop for their big day, the couple enlisted incredible Smashing Supplier, optimum weddings by The Weddings Company to help them to liaise with their suppliers overseas and make their dream day happen. It goes without saying that Lizzi and Mark were overjoyed with the results. 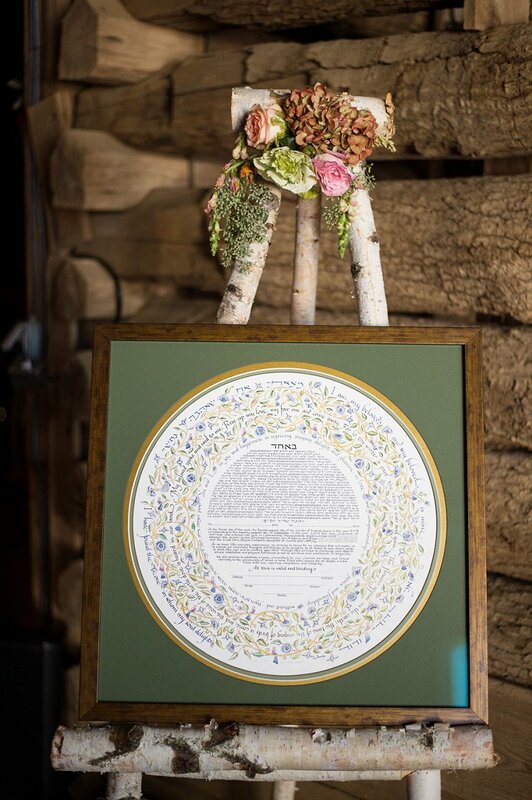 The ceremony took place overlooking the sea with mountains in the distance — the postcard-ready picture was framed by the couple’s stunning Chuppah, with its beautiful floral arrangements. What more could anyone want? There’s a lot to love about Lizzi and Mark’s big day, but we simply have to mention the phenomenal vibes of the Israeli dancing — as you can see from the pictures, the party was definitely buzzing, and nobody held back! Fireworks filled the sky as the pair cut their cake, creating a Hollywood-perfect romantic moment to remember forever. The wedding was shot by Your Wedding Moments. 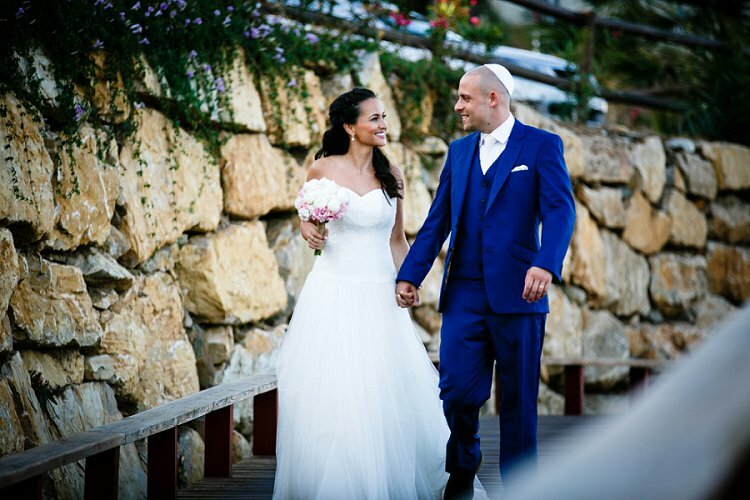 Lizzi, the bride: Funnily enough, we met at my brother’s wedding in Israel in 2014. I thought I knew all of his friends, but turns out… I didn’t. Not his one Northern friend from Leeds. We met, there was an instant chemistry, he then moved down to London, and the rest is history. One of the best ‘how we met’ stories ever to have graced these pages is about to unfold before your very eyes. 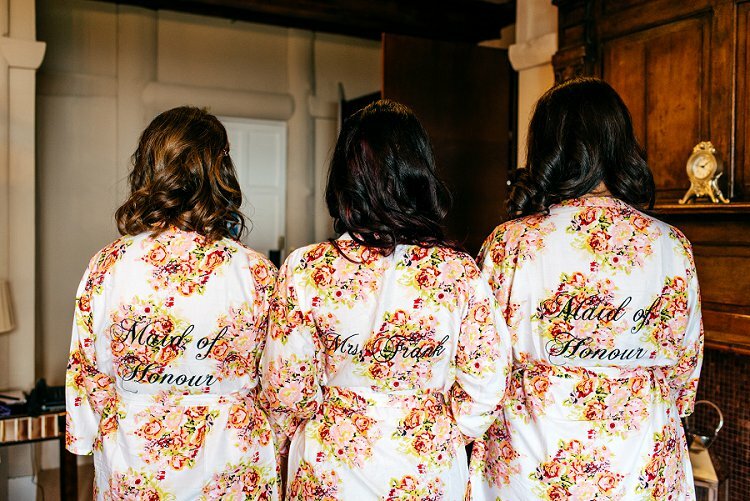 I’ll let the bride, Danielle, regale the full tale, but essentially the bride and groom’s parents were friends before these two were even born and their mothers fell pregnant at the same time. Born just six days apart, the bride and groom essentially knew each other from birth and what makes this Jewish wedding so very special is that so many of the guests had known both the bride and groom since the day they were born and had seen them grow up together — and apart (Danielle and her family moved to Florida when she was six) — and then together again! 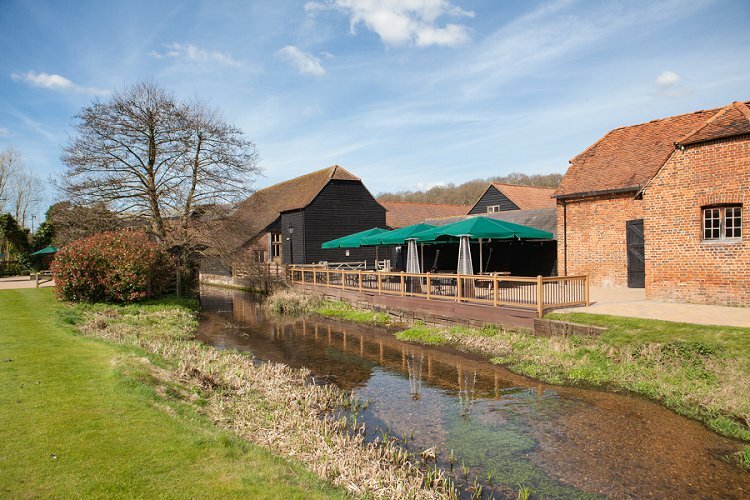 I’m also very much liking Danielle’s Enzoani dress and those wonderful mismatched bridesmaids complete with baby’s breath flower crowns — the perfect accompaniment to that scenic backdrop of blue skies and the Great British countryside. 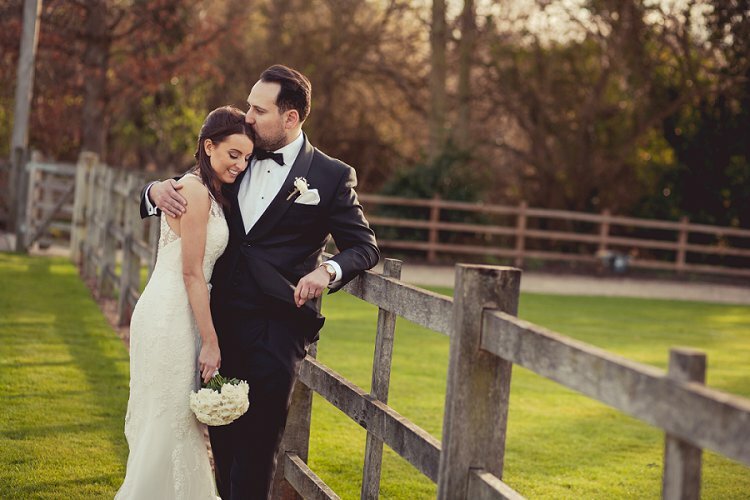 Everything about this beautifully designed wedding at the gorgeous Northbrook Park is like viewing canned happiness and fun! From the personalised ushers’ pants(!) to the abundance of floral prettiness provided by Fairynuff Flowers to the Marryaoke and the “family style” Mediterranean cuisine by Eat Me. It all made for a rustic, relaxed feel of a family Shabbat dinner with people chatting and sharing food as if they had known each other for years! Oh wait, many of the guests did! Enjoy this one peeps — the day was photographed perfectly by Cotton Candy — a duo of fun, fabulous women who did a brilliant job of capturing all the love and details.